Moxie Falls; West Forks, ME - Take a day trip! 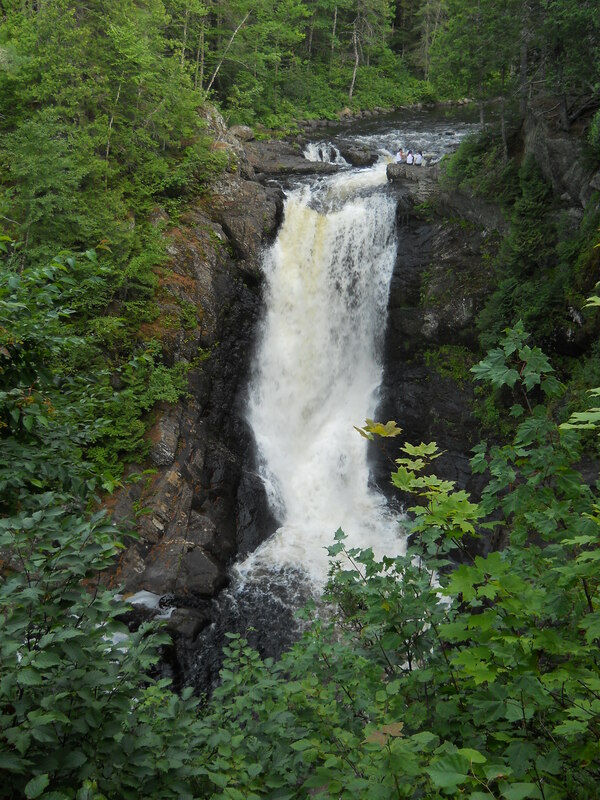 Moxie Falls is a lovely waterfall in the heart of Northern Maine located just a couple miles outside of The Forks. It is a lovely waterfall to view and there are several great places to swim nearby. Moxie Falls in West Forks, ME. Facilities, Fees and other information: There aren’t any facilities beyond the parking area off Lake Moxie Road and the trail down the falls and swimming area. There aren’t any fees to visit here. 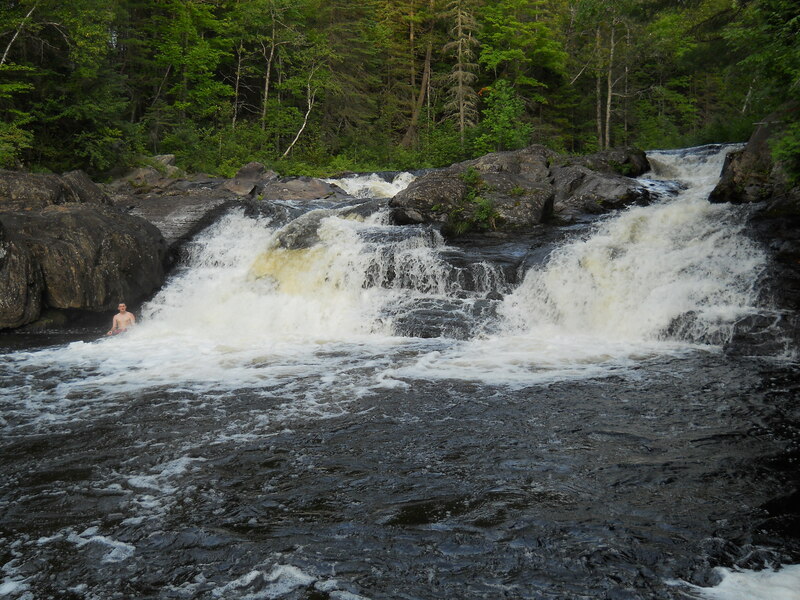 How to get here: Moxie Falls is located off Lake Moxie Road in The Forks, Maine. Turn off Route 201 in the Forks at the Crab Apple Whitewater sign and parking lot is a couple miles up the road on the left. It takes 15-20 minutes to hike down and a little longer to hike back. 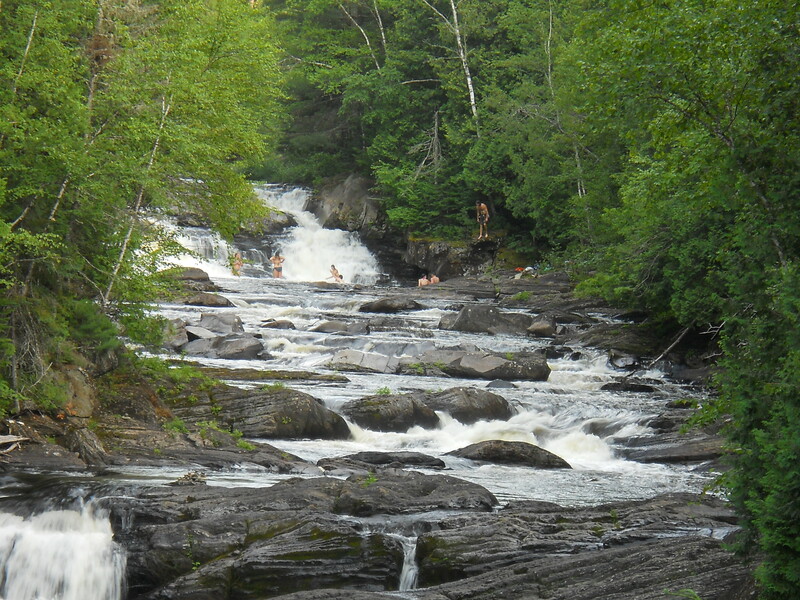 Swimming area next to Moxie Falls in The Forks, ME. Want to hear about other great swimming holes or fun spots? Sign up for my mailing list, hopefully you’ll get to hear about a new place!